Rev. 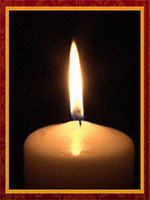 Larry L. Lehman, 74, of Luther Acres, Lititz, died Monday, January 3, 2011 at Hospice of Lancaster County, Mt. Joy. He was married 52 years to Marjorie Tritt Lehman, whom he dearly loved. Born October 6, 1936 in Harrisburg, he was the son of the late Robert L. and Mary Shultz Lehman. Lehman was former pastor of Trinity Lutheran Church in Lancaster. He served the congregation at Trinity for over thirty years, retiring in 1997 after fifteen years as senior pastor. He then served as interim pastor of St. James Lutheran Church in Hellam until 2002. Earlier in his career, he was pastor of St. Paul Lutheran Church in Altoona, Christ Lutheran Church in Bellegrove and St. Paul Lutheran Church in Annville, PA.
During his ministerial career, Lehman served for many years on the board of directors of the Lancaster County Council of Churches and on the board of directors of Lutheran Social Services in the Allegheny and East Regions. In 1991, during his pastorate at Trinity, he led efforts for a major renovation of the church’s Fisher Parish House. Lehman was a member of a community advocacy committee for the introduction of ethnically inclusive history textbooks in the Lancaster public schools. He was active in the work of Trinity’s King-Clemente Scholarship Fund and in a variety of community agencies. He was active with the group Demonstrate against Drug Dealers, organizing a number of “Trinity Days with DADDs.” In 1985, Lehman was among clergy from throughout the nation recognized by President William Clinton at a White House Breakfast. In 1997, he received a community service award from Lancaster’s Crispus Attucks Community Center. He was an avid student of history, and in 2006, at the age of 70, he earned a Master of Arts degree in history from Millersville University. Ordained in 1961, he held a Master of Divinity Degree from the Lutheran Theological Seminary at Gettysburg, a Bachelor of Arts Degree from the Lutheran Theological Seminary at Gettysburg, a Bachelor of Arts degree from Gettysburg College and was a graduate of John Harris High School, Harrisburg. Surviving in addition to his wife Marjorie are sons, Michael A., husband of Sally Lutton Lehman, Lancaster, PA, and David M., husband of Theresa Sachs Lehman, Collegeville, PA; grandsons, Christopher and Matthew; granddaughter, Chloe; and by his sister, Mary Lehman Rimkunas of Baltimore, MD.